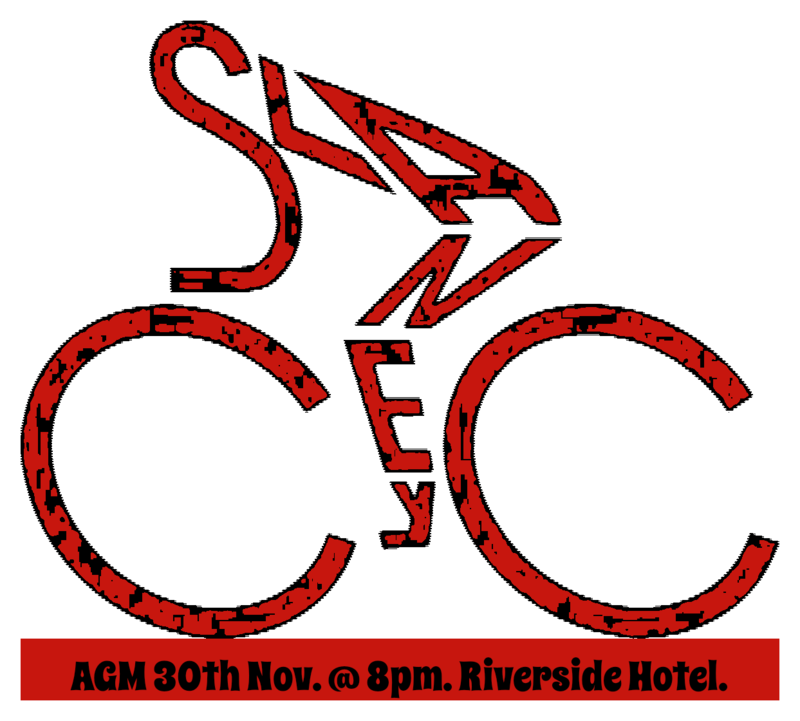 As you aware Slaney Cycling Club will hold its AGM on Friday 30th November at the Riverside Hotel, Enniscorthy at 8pm. The meeting will take the usual form, Approval of Meeting from 2017, Chairman’s Report, Financial Report, Programme of Activities for 2019, Dissolving of the Executive, Election of the new Executive and Committee members and then finally Any Other Business. For 2019, the club are looking to members to volunteer their time and sit on the Committee. We are hoping to have a Committee that represents the wide range of interests within the club i.e. from the Racing group, from the Saturday and Sunday tours, Training Spins etc. Any members who has an interest in joining the new 2019 Club Committee please contact the present Secretary via email, secretary@slaneycyclingclub.com or through Facebook Messenger. If anybody that wants to have a topic discussed at this AGM this will be happen at the Any Other Business section of the meeting. If you have a topic please contact the Secretary via email, secretary@slaneycyclingclub.com or through Facebook Messenger. Please have any topics wanting to be discussed forwarded to the Secretary no later than Monday 26th November as this will help with the formation of the Agenda for the meeting. Previous Post:Weekend Tours and Pat Whitney Training.